One important and commonly overlooked annual inspection is the roof. Even if the roof is currently not leaking there could be cracking and flaking that should be repaired before further damage occurs. A simple roof check and maintenance twice a year can help extend the life of your roof and prevent thousands of dollars in repairs. Here is a short tech tip to help you make a quick roof inspection. Recaulk and seal on warm days between 60 and 80 degrees. Inspect the roof: Closely inspect the roof membrane condition, all the seams, and every protruding fixture: plumbing vents, antenna mounts, skylights and vent lids. Clean the area: Minor cracks or thin spots should be cleaned with denatured alcohol before caulking. Recaulk and seal: Rubber roof tears can be repaired with Roof Tape or a Rubber Roof Patch kit. Use Dicor Self Leveling Sealant around seams and Dicor Lap Sealant around the fixtures and side seams. Yearly maintenance: Rubber roofs should be cleaned twice a year with soft bristle brushes and soft grade soap such as car wash soap or car wash and wax soap. Do not use pressures washers. Metal roofs may occasionally require a Hengs Fibered Aluminum Roof Coating. Thoroughly clean the roof before applying any coating. What if damage is severe? A rubber roof that has been neglected and poorly maintained will require a Rubber Roof Primer and a Rubber Roof Coating applied, a new EPDM membrane installed or new RMA XTRM roofing, highly recommended. If you suspect this to be the case, call the experts at Wild Willy’s RVS for assistance. Here are signs of severe roof damage. Call today if your camper roof shows this type of damage. If left unchecked cracks in the roof sealant can allow water to rot the membrane. Closely inspect the roof membrane condition. Roof membrane should be firm, if the membrane gives under pressure as shown here, you may have water damage and rot. Spring and Fall roof maintenance help prevent the cracking seen here. Once this type of damage occurs the roof membrane is compromised and must be replaced. If the camper roof is not properly repaired and maintained damage cannot be prevented. Roofs should be blister and bubble free. A camper trailer or motor home with a vinyl roof will eventually develop bubbles or blisters if exposed to the sun for long periods of time. A leak will soon develop in these spots. Failure to do bi-annual maintenance can lead to damage to roof fixtures. Here is an example of a cracked skylight that must be replaced. 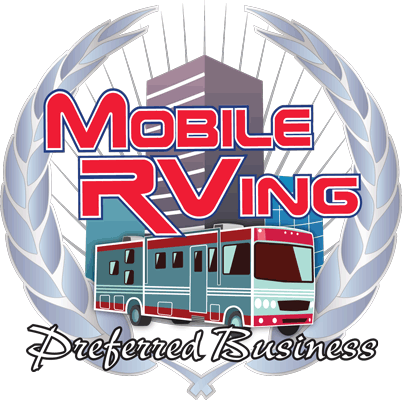 Bi-annual roof maintenance will save you money and extend the life of your RV roof. Wild Willy RVs offers roof checks starting at $32.49 (includes one tube of sealant).